Colitis refers to the inflammation of the colon. It is characterized by diarrhea or soft stools, sometimes with mucus, fresh blood or both in the stools. The stool may start out normal then finish soft or may seem gooey throughout. Colitis is a rather common ailment and affects dogs of all breeds and ages. 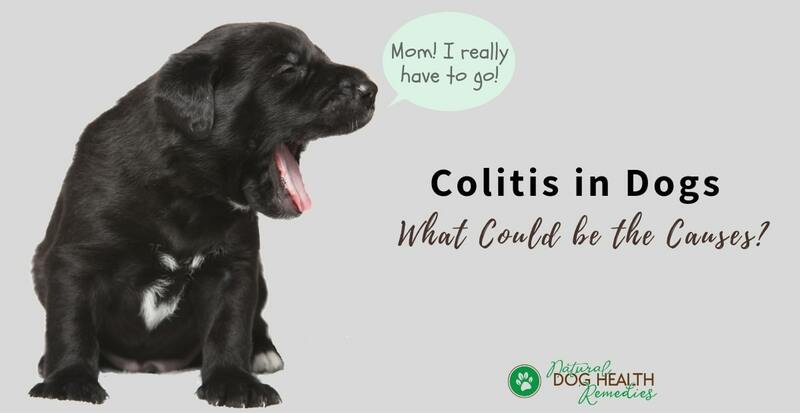 Colitis in dogs can be acute - the symptoms come on suddenly and last for a short time, or chronic - the symptoms last for at least two to three weeks or even months on end. There is often mucus or fresh blood in the stool. The stool often starts out normal and finishes loose. The stool is soft or slimy rather than watery. The dog very often strains when producing the stools and may continue to strain even after defecation. The dog may exhibit a sense of sudden urgency to go to the bathroom and may have "accidents" in the house. The dog may have gas and stomach cramps. Even with chronic colitis, the dog does not lose weight. Dehydration (In the worst cases, this leads to collapse). Identifying the underlying cause of colitis is extremely important because a treatment for one cause can frequently worsen colitis caused by a different disease. Eating inappropriate things, or consuming a meal of unfamiliar food. Rich foods, dairy products, or fatty foods are common causes of colitis in dogs. Stress can cause colitis in dogs, especially if the dog has a nervous disposition. Causes of stress could be changes in the dog's environment, such as moving, or boarding. Sometimes the cause of colitis is unknown and the dog is said to be suffering from "idiopathic colitis". Common parasites that cause colitis include whipworms and giardia. Bacterial infections that cause colitis include Salmonella, E coli, and Campylobacter. Though there is some overlap, parasitic infections usually arise from drinking contaminated water, and bacterial infections result from ingesting contaminated food. Dog colitis can be caused by a food intolerance which may result from ingesting dyes, preservatives, contaminants or even some proteins in the food. Similarly, colitis can result from an actual food allergy, in which case a hypoallergenic diet containing a protein source which the dog has never had before (for example venison or rabbit), may be beneficial. IBD is a serious disease characterized by an invasion of the colon walls by the body's own inflammatory cells (cells which normally fight infections). This leads to a persistent state of inflammation of the colon lining and a complete disruption of its normal functioning. Visit our page on Canine IBD for more information on this disease. Many people mistakenly use IBD and IBS interchangeably. In fact, IBD and IBS are different. In IBS, there is no inflammation of the colon. IBS is a psychosomatic disease. This means that it is the activity of the mind that causes the symptoms. Essentially, the colon constricts much more than it should and the waste products are moved through at too fast a rate for the absorption of the water and nutrients. IBS is usually associated with neurological or psychological problems, e.g. 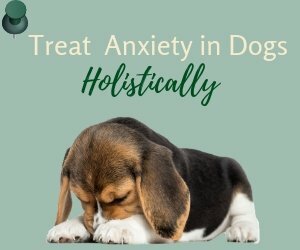 a dog that is stressed or anxious. In rare cases, colitis in dogs can be caused by foreign bodies and abrasive material in the gut, chronic pancreatitis, polyps, and cancer. There is also a form of colitis called histiocytic ulcerative colitis, aka "Boxer colitis", since young boxers are most predominantly affected by this. Like other diseases, colitis is best managed when we know the underlying cause, and appropriate therapy and medications are being given to treat the cause. When this is not possible, such as when an immediate diagnosis of the underlying cause cannot be made, we can still use natural remedies to temporarily help manage the symptoms. For an episode of acute colitis in dogs, usually a 24-48 hour fast is sufficient to manage the problem. Make sure that fresh, clean drinking water is available. After 24- 48 hours, introduce a bland, low-fat diet such as boiled chicken or white fish with rice. When symptoms of colitis subside, re-introduce the normal diet to your dog, gradually increasing the amount of food a little every day for about a week. Symptoms of chronic colitis in dogs can managed and controlled by using herbs, homeopathy, and dietary supplements. Various herbs (e.g. 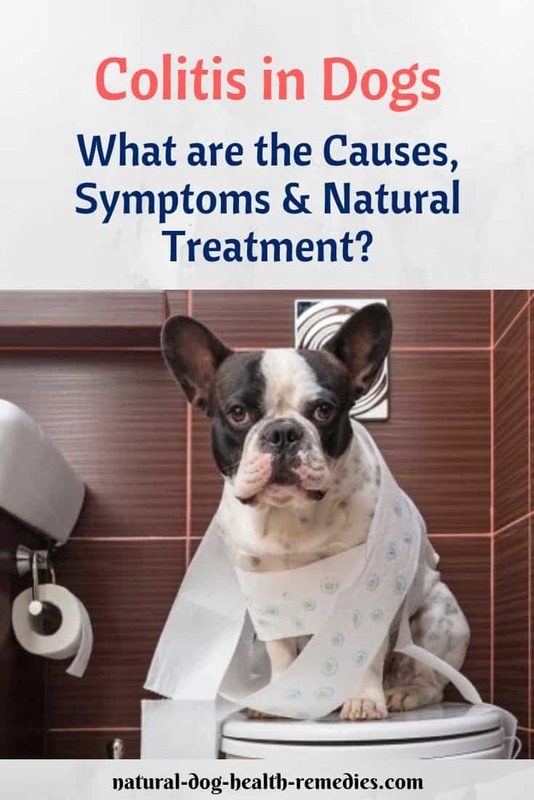 slippery elm, marshmallow root, licorice) and homeopathic remedies can be used to help the dog with diarrhea. 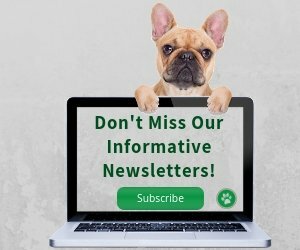 Be sure to visit our page on Canine Diarrhea Remedies for additional information. Probiotics - Studies indicate that probiotics, or "friendly" bacteria, can help reduce symptoms of colitis by restoring the balance of microflora in the dog's intestinal tract. Digestive Enzymes - Digestive enzymes can be used to aid proper digestion and absorption of nutrients. L-Glutamine - It helps to protect the stomach and intestinal lining and also may prevent the formation of stomach ulcers. N-Acetyl-Glucosamine - Research suggests that N-acetyl-glucosamine supplements may improve symptoms of inflammatory bowel disease. Fructooligosaccharides (FOS) - FOS are carbohydrates made by combining two naturally occurring sugars, fructose and glucose. FOS are digested by the large intestine. They are believed to inhibit the growth of harmful bacteria and support the growth of healthy bacteria. This natural supplement contains slippery elm and licorice, as well as beneficial probiotics and other nutrients such as L-Glutamine and N-Acetyl-Glucosamine. Very effective in treating diarrhea caused by inflammation of the colon. This formula contains FOS and four plant-based enzymes. 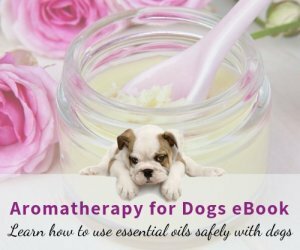 It aids digestion and quickly relieves gas and diarrhea, while supporting a stronger immune system and a healthier skin and coat.